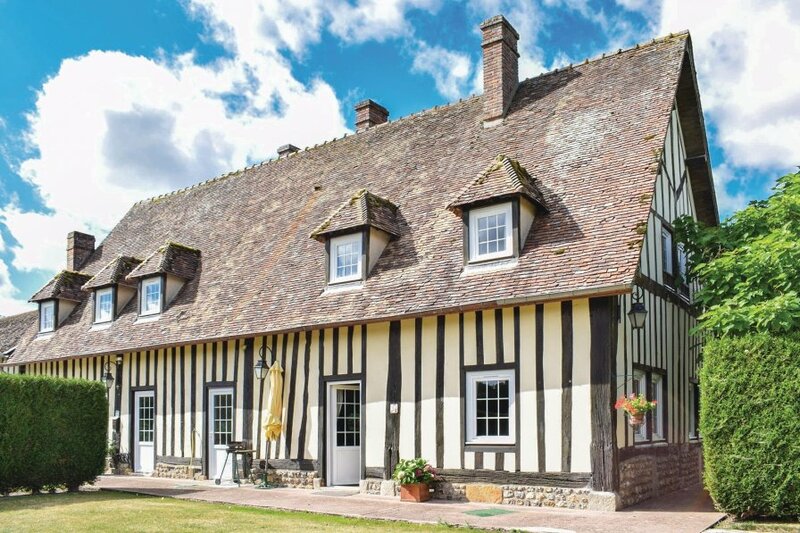 Set in an area of natural beauty, Le Manet offers holidaymakers a beautiful and peaceful place to stay and yet is within easy reach of many of Normandy's châteaux and tourist attractions. Set in an area of natural beauty, Le Manet offers holidaymakers a beautiful and peaceful place to stay and yet is within easy reach of many of Normandy's châteaux and tourist attractions. The houses are set on a magnificent 400-acre estate which is renowned for being one of the most beautiful and unspoilt in the area, featuring a superb 16th-century manor house, chapel and picturesque pigonnière. The wonderful rolling countryside and woodlands which abound with deer, offer ample opportunity for undisturbed walks, picnics and fishing on the delightful River Risle which borders the estate. Approached by their own private drive, the houses have lovely views, date from the 17th-century and are ideal for large families or groups of up to eleven people and have a large heated swimming pool. The château of Beaumesnil, Harcourt, Champ de Batille and the superb abbey at Bec Hellouin are all within 30 minutes' drive. The charming old towns of Conches and Bernay are convenient for shopping. The nearest seaside towns are fashionable Deauville and Trouville and Paris is 1½ hours by car or train. Eurodisney is 2 hours away. Giverny and Monet's Gardens are 1¼ hours by car. This villa is made from brick or stone. The agent has rated it as a three star property so it is a well-kept villa, equipped with standard furniture. It is also good value for money. This villa has use of a shared pool and is located in Champignolles. It is set in a good location: there is a restaurant 6.5km away.